1: Who is a one-person, or solo, librarian? And how do they manage to do what they do? How does a solo librarian learn collection development skills? What constitute good collection development skills? What materials do solo librarians include in their collection development? Managing the one-person library provides a useful and needed resource for solo librarians confronted with the challenges of running a small library. The author uniquely focuses on topics encountered by solo librarians, such as IT troubleshooting and library security. 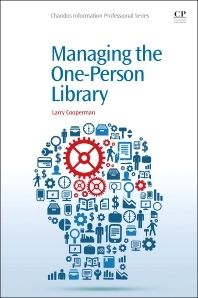 Chapters on library management, collection development, serials management, and library marketing are included to enable solo librarians to easily manage day-to-day operations in these areas, and advise on how to respond to any challenges that should (and will) arise. This book will provide a much-needed resource manual that will allow solo librarians of all backgrounds, and paraprofessionals, to manage their collections as effectively as their larger librarian counterparts. 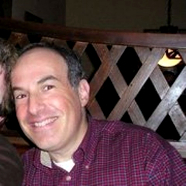 Larry Cooperman is an adjunct faculty librarian at the University of Central Florida, specializing in online reference research for undergraduates, graduates, and faculty. He received his M.S. in Library and Information Science from Simmons College Graduate School of Library and Information Science (GSLIS) in 2002, and has 10 years’ experience managing solo libraries, primarily in the academic field at the baccalaureate and associates degree level. He volunteers approximately twelve hours per month as an online reference librarian on the State of Florida’s Ask-a-Librarian, and serves as one of five state-wide mentors for new librarian participants on Ask-a-Librarian. He has taught his online course, Managing the One-Person Library, for Simmons GSLIS since 2009. He also writes book and Internet reviews for School Library Journal, Reference & User Services Quarterly, and College & Research Library News. He received the 2009-2010 Everglades University Librarian of the Year Award and the Outstanding Achievement Award for Book Reviews from the Reference and Users Association of the American Library Association.